Anyone can criticize Mario Balotelli. And chances are that if you are reading this, you probably have, at least once. I know I have. But it takes a little more effort to peel back the layers and see what is really going on since Italy crashed out of the World Cup. Why is it that one person is being criticized so heavily for the failings of an entire team? Or even an entire nation? What could one person do so wrong that his own teammates would make veiled public references so widely interpreted to be aimed toward him? Bite someone? Oh, nevermind, that guy’s FA and country actually defended him. So maybe all of the criticism is actually a false positive. 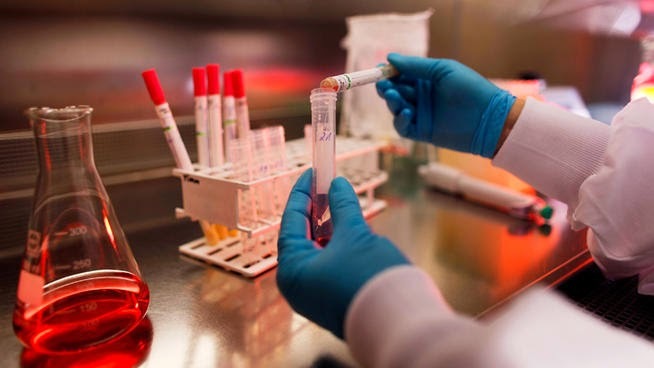 A false positive is defined as: a test result which incorrectly indicates that a particular condition or attribute is present. In this case, the blame for Italy’s loss. Despite sweating and bleeding on the pitch for his team alongside all of his teammates, he is singularly seen as the scapegoat for Italy’s early exit. Even if the rest of the world knows that if any one person is to blame for the exit, it was Suarez, or perhaps the referee for not sending him off. Or Prandelli, who actually took credit for the failure. But that doesn’t stop Italy, the media, or the world for incorrectly laying the blame squarely on Balotelli. As usual. There are the actual quotes, like from former Italy International and current pundit Pietro Anastasi, who said “On Balotelli I have said the same a lot in the past – I don’t like him. 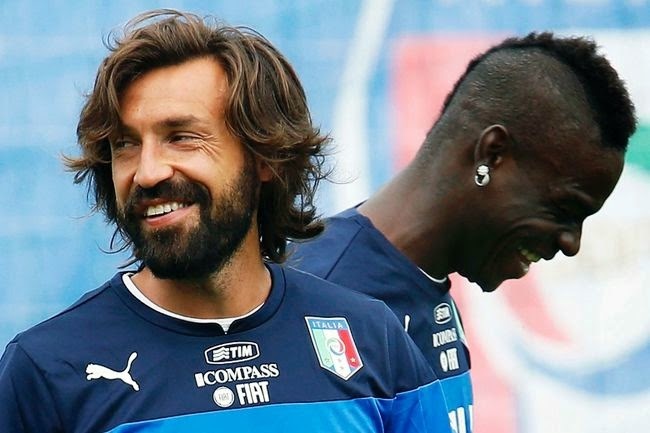 … What Buffon said is what 90 per cent of Italians think. He has shown nothing at all, he is a good player but he will never be a champion.” Good that he went into the World Cup with some objectivity. Anastasi, of course, was referring to veiled comments from Buffon, comments widely interpreted along with those of teammate De Rossi as directed toward Balotelli. Interesting that no one is questioning why a teammate would throw another teammate under the bus in defeat, or hint at internal issues for that matter. Or why reports leaked about him sitting on the bus alone, which were not true according to people there, or the inevitable reports surfacing now that Balotelli and Prandelli had a fight at the half. Emotional episodes in big games are not entirely uncommon, but federations and clubs who allow them to be leaked to the public are much less so. A year ago, you were jumping on his back, now you stab him in the back? Over a picture of stickers? But maybe after spewing the typical lines we always hear about Balotelli regardless of how he plays, Anastasi hit on the problem without really intending to: the 90% of Italians. After all, when Prandelli resigned not long after the loss, he said, “There also has to be more collaboration from the clubs and more love for the Nazionale. We are one of the few national teams to leave for a tournament without the support of our fans. We always have to win them over, game by game. When we left, we were almost ashamed, as there were insults and jeers... We no longer have a sense of patriotism and our own anthem is jeered in stadiums.” This, coming from the man who took credit for the failure of Italy to progress and stepped down. He is perhaps the only one not blaming Balotelli, despite so many people twisting some of his quotes to imply that he is. So why can’t Italians listen and learn? Why is it that fans of other countries see Balotelli as a talented player who gave it his all in Brazil, the star of the Azzurri? 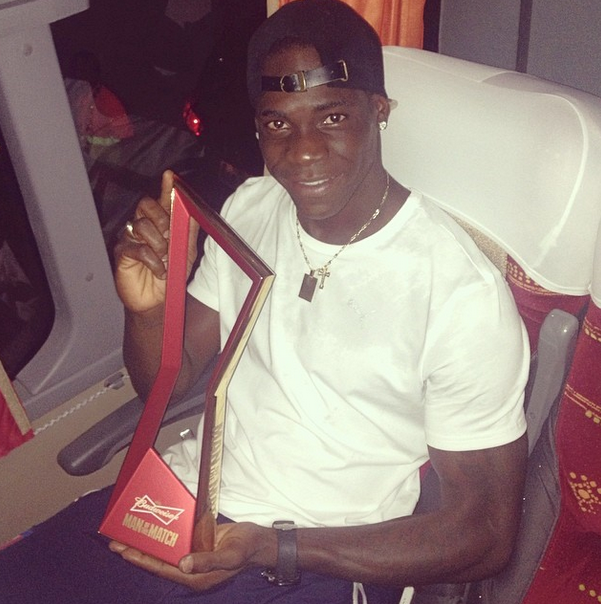 Maybe it is just much easier to blame Balotelli. Whether it is from racism or club loyalties exceeding nationalism or from the vast array of lies the media has spun about the striker through the years, or misunderstandings about things he has said or done, everyone claims that he “brings it upon himself.” He “goes to ground easily” He “doesn’t show enough effort.” You know, the catchall phrases that everyone uses to write him off by using emotional and immeasurable statements that absolve them of their conscience or any responsibility. Galliani was quick to defend him, saying he was “the only forward who scored a goal and the only attacker who created goal-scoring chances.” Specific, measurable facts that no one else in Italy wants to come to terms with from this tournament. Galliani continued “I don’t understand it, the concept escapes me. Obviously the only footballer Italy has is Balotelli, because everyone only talks about him.” Italians do have a lot to think about if they are making the same old tired excuses about a player who actually was very important to the team in Brazil. But that would involve admitting their own culpability in the matter, like admitting that their heroes, Buffon and De Rossi, were wrong to say what they did, no matter what happened within the squad. Or the shame of the fans not supporting their team and instead, sending them off with jeers. Or how poorly everyone else in the squad played, despite unrealistic expectations not being placed on them. The problem is so much bigger than just one player, or even the entire team, it’s an entire nation’s mindset that needs to change. Much easier to just claim the false positive, isn’t it? 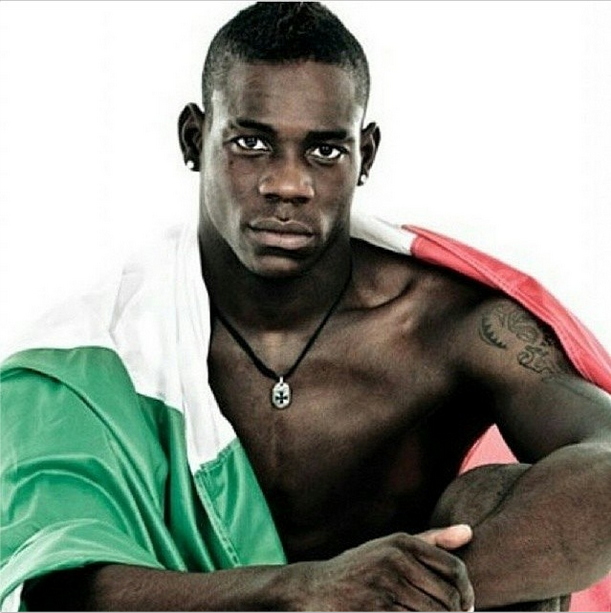 “I am Mario Balotelli, I’m 23 years old and I did not choose to be Italian. I wanted it strongly because I was born in Italy and I’ve always lived in Italy. I was hoping for a lot from this World Cup and I am sad, angry and disappointed with myself. “Yes, maybe I could have scored a goal against Costa Rica, you’re right, but then what? What is the problem after that? Maybe that’s what you all wanted to say? Don’t blame it all on me this time because Mario Balotelli has given everything for the national team and has done nothing wrong on a personal level. “So go and look for another excuse because Mario Balotelli has his conscience in place and is ready to move forward stronger than before, with his head high. He is proud to have given everything for his country. Or maybe, as you say, I am not Italian. The Africans would never heap everything on one of their ‘brothers.’ Never. In this sense us blacks, as you call us, are light-years ahead.